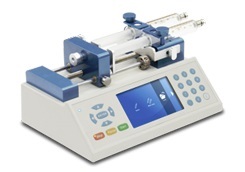 The Fusion Touch Series is a high performance low cost syringe pump series designed for use in synthetic chemistry, electrospinning, drug infusion and ESI microliter injections. The Fusion Touch Models 100, 200 and 400 syringe pumps each have a built in computer processor and memory to continually monitor the pump while in operation. In the event of a power failure the pump will remember the last settings and can resume operation when power is returned. The Fusion Touch Model 100 is infusion only, accepts syringes up to 60 mL. 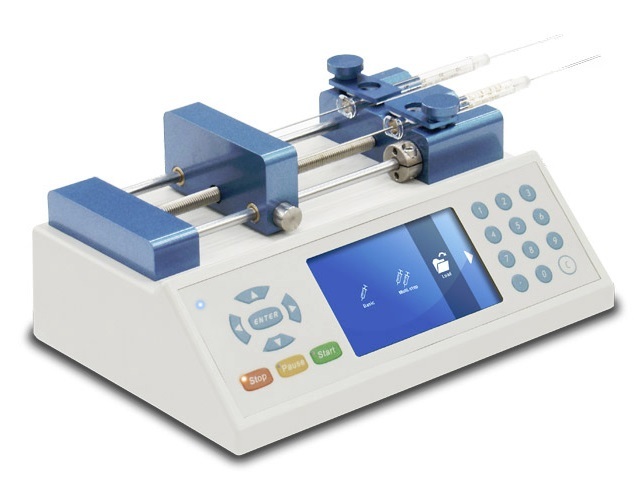 The Fusion Touch Model 200 has all the features of the Fusion 100, accepts syringes up to 60 mL, but is a more sensitive infuse and withdraw system. The Fusion 200 can be expanded to a 10 channel infuse withdraw system with an optional modular rack system. 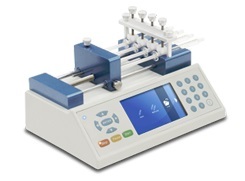 The Fusion Touch Model 400 is infusion only and offers high volumetric accuracy for microfluidics and microdialysis use. The Fusion 400 accepts syringes up to 10 mL. Set any parameter through a familiar windows like environment and change settings such as syringe ID, flow rate, volume, and delay time. 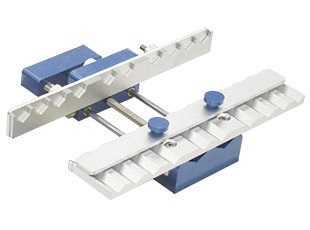 Syringe dimensions can also be loaded from an internal syringe library stored on the pump. Dual entry modes allow users to wear gloves and still operate the system. Both keypad and screen are coated with solvent-resistant PP coating for operational durability under laboratory environments.